Want to be notified of new releases in Telos-Foundation/Sqrl? Pull request Compare This branch is 131 commits ahead of marlonwilliams:master. Sqrl is a fully functional wallet created by Telos Miami for the Telos blockchain that supports any EOS.IO blockchain. This application can be used to connect to a remote EOS.IO API endpoint to securely perform numerous wallet and governance functions. IPFS Storage for Key Documents: All interactions with key documents in Sqrl, such as the Telos Blockchain Network Operating Agreement, are uploaded and retrieved from the InterPlanetary File System (IPFS). Create Worker Proposals: Sqrl allows you to create new worker proposal requests on the Telos blockchain. You can also participate in voting on existing worker proposals. Register and Vote on Arbitration: As the first EOS.IO chain with real on-chain governance support, Sqrl allows anyone to apply to be an arbitrator and voters to elect arbitrators. You can also submit claims and go through the arbitration process using Sqrl. Ratify / Amend Governance Docs: Sqrl allows you, the voter, to participate in ratifying and amending the Telos governance documents. Let your voice be heard! Works Across Chains: Sqrl is the first wallet to add support for managing any EOS.IO blockchain in a single interface, such as Telos or EOS. Free User Account Creation: Sqrl provides a simple wizard that allows new users to create their first Telos account on their own. ScatterJS Core Support: Version 1.0.0+ of Sqrl now allows users to sign transactions in web-based dApps using ScatterJS, called Login with Sqrl. Users of Sqrl no longer needs Scatter Desktop in order to authenticate and interact with their accounts for EOS.IO-based applications. New Key Generation: You can use Sqrl to generate new EOS.IO public and private key pairs. Block Producer/Proxy Voting: Select which block producers to support and cast your vote. You can also register/unregister your account as a Proxy. Token Transfers: Transfer TLOS, EOS or any other token you may have a balance for to another user or exchanges. CPU/Bandwidth Staking: Stake your TLOS or EOS as either Bandwidth or CPU. This grants rights to resource usage on the network, in addition to conveying weight while voting for block producers. Buy/Sell RAM: Use your TLOS or EOS tokens to buy or sell RAM at the then market price. RAM allows you to reserve or release storage space on the Telos blockchain. Create Accounts: Sqrl allows you to create new user accounts in Telos and allocate RAM, Bandwidth or CPU. Simple Contact Management: You can create a contact database for the Telos accounts you interact with frequently, simplifying the process of sending/receiving tokens on the network. Interact w/ Smart Contracts: If you would like to interact with smart contracts directly, Sqrl allows you to lookup contracts and call methods defined in the contract's abi. Local Wallet: Set a password while importing your private key to create a local wallet. Your key will be encrypted locally using this password. This password will be required each time you need to unlock the wallet. Cold Wallet Mode: If you prefer not to store your keys within the application, simply choose not to set a password. When the application quits, your key will be forgotten. MacOS User: Download the DMG (Sqrl-***.dmg) file. Windows User: Download the EXE (Sqrl-***.exe) file. Linux User: Download the Source (***-.tar.gz) file. When using Sqrl, all transactions are signed within the application and your key is never transmitted. If a local wallet password is specified, the application will also save and encrypt your key for future use, using AES-256 encryption. The current password/key encryption scheme can currently be found here. This list will be updated over time and can be referenced from within the initial connection screen in the app. If you'd rather build the application yourself, please ensure you have nodejs/npm/yarn already installed locally. Note: If you are configuring this Electron application within a Windows development environment, it will involve additional steps. The files built will be located in the releases folder within the root project folder. The development of this application is being led by members of the Telos Miami team for the Telos Foundation in an effort to let stakeholders securely manage their EOS.IO-based tokens (TLOS, EOS, etc) and participate in the governance of the Telos blockchain. Sqrl naming credit goes to Douglas Horn at Goodblock. 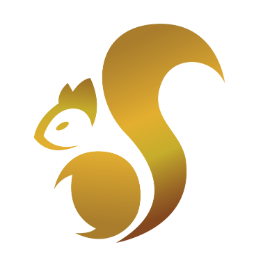 SqrlJs + styling support provided by Amplified Telos development team.